Nothing can stop Raine Cooper when she wants something… Raine finally knows that her gorgeous neighbor, Torin St. James, is a legend straight out of Norse mythology but that doesn’t stop her from falling hard for him. 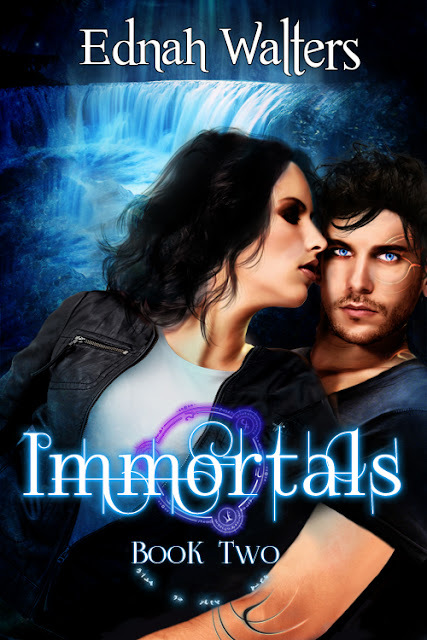 Torin is crazy about Raine too, breaking the one rule he lives by: Never fall for a mortal. The problem is he no longer remembers her or that she saved him by making a deal with Norns—Norse destiny deities—the same Norns who have now erased his memories of their past together to punish her. So Raine comes up with a plan... She will make Torin forget his one rule a second time and fall in love with her all over again. But before Raine can put her plan into action, the Norns return. This time, they demand she protects Eirik Seville, her best friend since childhood, from an evil so dark even the Norns are scared. But you know what they say about well-laid plans… Caught between protecting Eirik and convincing the stubborn, cocky Torin St. James that the two of them are meant to be together, Raine's life slowly unravels. Friendships are tested. Enemies become allies. Desperate, Raine makes choices that could not only tear her and Torin further apart, but lead to the destruction of everything and everyone she loves. EDNAH WALTERS grew up reading Nancy Drew and the Hardy Boys and dreaming of one day writing her own stories. She is a stay-at-home mother of five humans and two American short-hair cats (one of which has ADHD) and a husband. When she is not writing, she’s at the gym doing Zumba or doing things with her family, reading, traveling or online chatting with fans. Ednah is the author of The Guardian Legacy series, a YA fantasy series about children of the fallen angels, who fight demons and protect mankind. AWAKENED, the prequel was released by Pill Hill Press in September 2010 with rave reviews. BETRAYED, book one in the series was released by her new publisher Spencer Hill Press in June 2012 and HUNTED, the third installment, will be released April 2013. She’s working on the next book in the series, FORGOTTEN. Ednah also writes New Adult paranormal romance. RUNES is the first book in her new series. 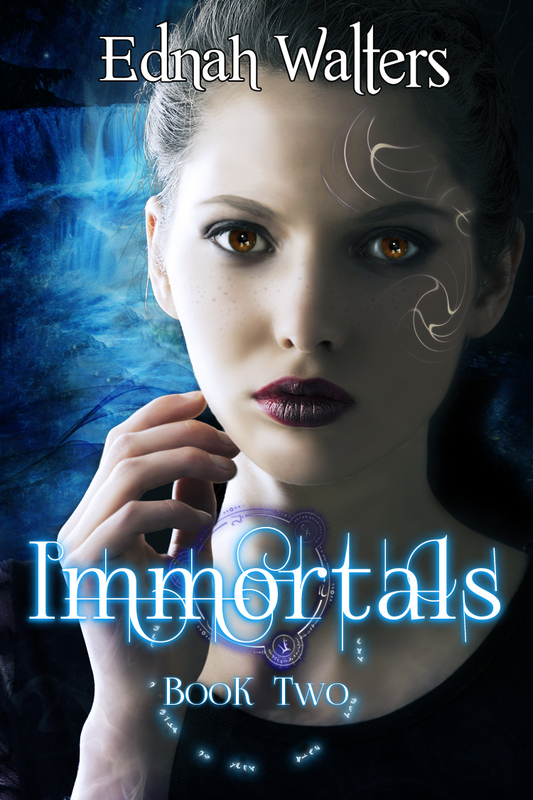 She is presently working on book 2, IMMORTALS. Under the pseudonym E. B. Walters, Ednah writes contemporary romance. SLOW BURN, the first contemporary romance with suspense, was released in April 2011. It is the first book in the Fitzgerald family series. Since then she has published four more books in this series. She's presently working on book six. You can visit her online at www.ednahwalters.com or www.ebwalters.com. Also: Don't forget to vote for Torin St. James in the YA Sisterhood Crush Tourney on June 17th.